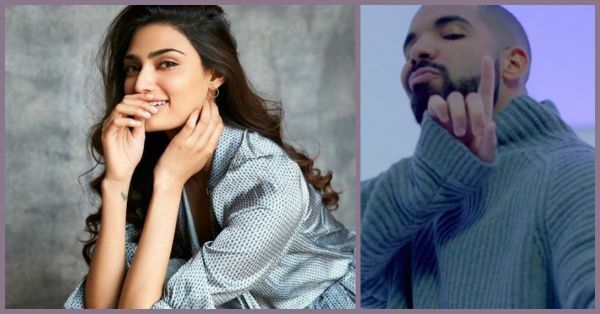 Is Athiya Shetty THIS Hollywood Rapper's Hotline Bling? We Sure Do Hope So! "If you had my love and I gave you all my trust would you comfort me?" - If you love him you know what I mean and for those of you who have no idea what I'm talking about - I am talking about Drake and it's also the song that I am listening to right now because, love! Drake, the boy who has my heart and I am sure I am not the only one on this planet. There are a billion other girls who have the same emotion so yeah, he won't know me and this tale of unrequited love has to, unfortunately, end right here. But you know when you really love someone, you know what they're up to. Okay, enough of the drama let's get to the real point here, shall we? So, recently while I was doing my daily dose of stalking, I came across something that no news channel will tell you, I promise! 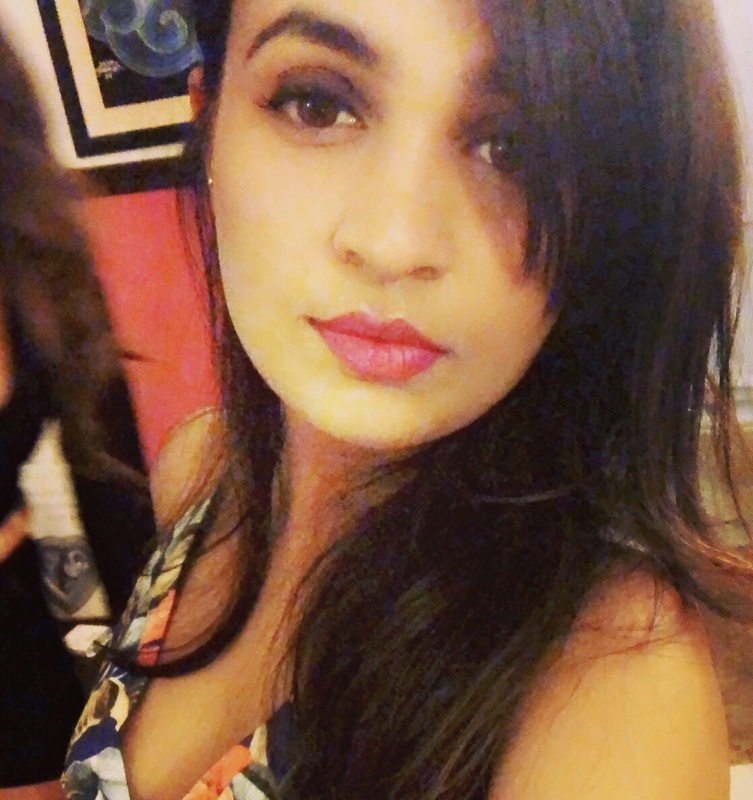 So, Athiya Shetty has a fan and it's someone who I, in my wildest dream didn't think will be. So I investigated just to make sure I am right. *drum roll* It's Drake! Drake, the Canadian singer, rapper, songwriter who can fix a million hearts with just that smile. And he follows her on Instagram and likes almost all her posts since he has started following her. Don't believe me? Here's proof! Not just that, he recently commented on one of her pictures and I was like, 'whaaa'. Here's proof for that too! So, a little birdie told me that the two apparently met in a club in London when they were partying together and caught each other's attention. While we're not sure if anything's brewing between the two yet, but it's just crazy! 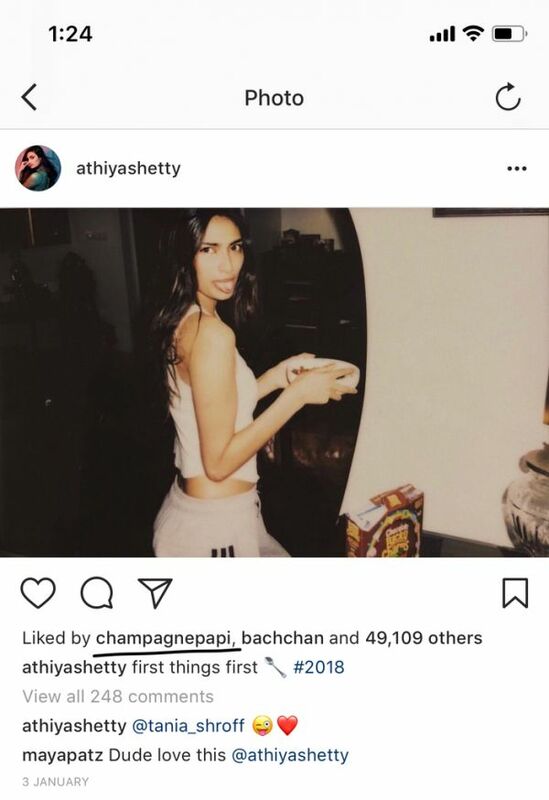 I also spotted Athiya dancing on Drake's songs in one of the house parties which was a part of her Instagram story a couple of days earlier! Jesus! We're jelly, girl! Drake has dated some of the most popular names in Hollywood including JLo, Nicky Minaj and Rihanna who he broke up with in the beginning of 2017 for the second time. I think the only thing left for me to do is go to a club and do that 'one dance' hoping to 'find my love'! Get it? PS - I love you, Drake.